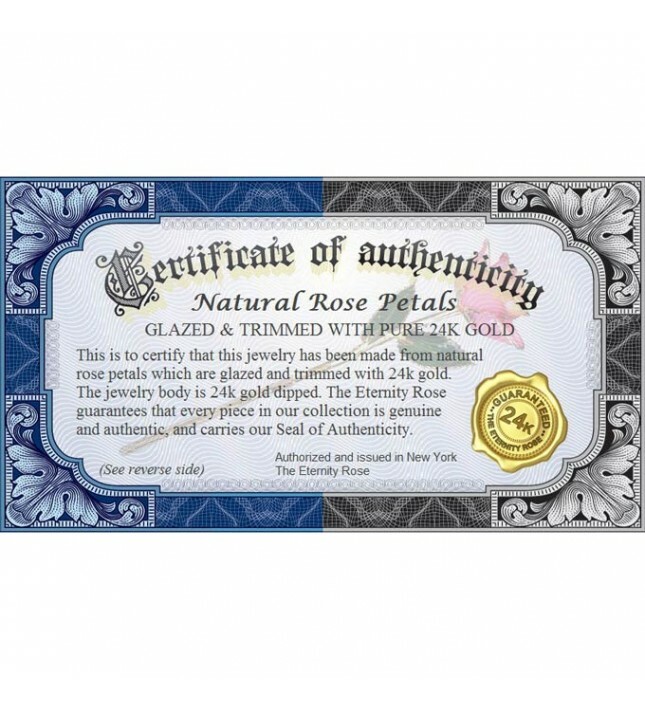 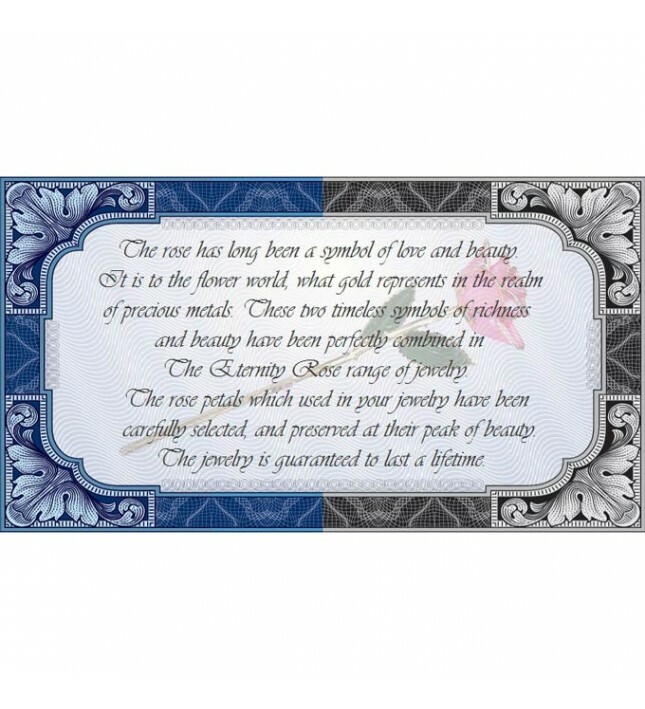 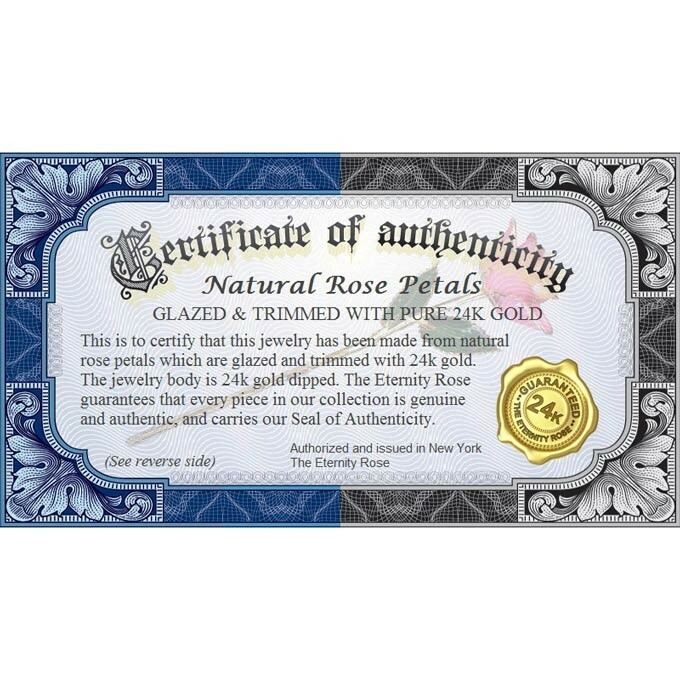 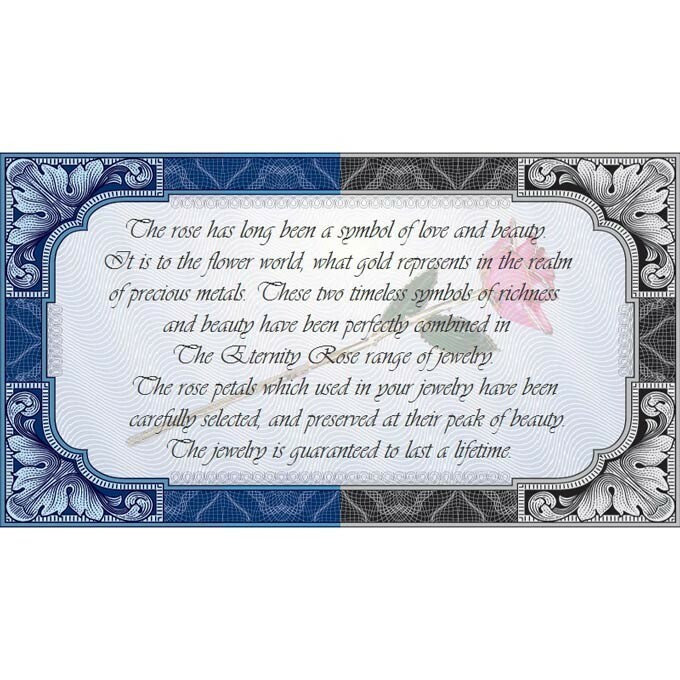 It is created using real red miniature rose petals perfectly glazed and trimmed with 24 karat gold. 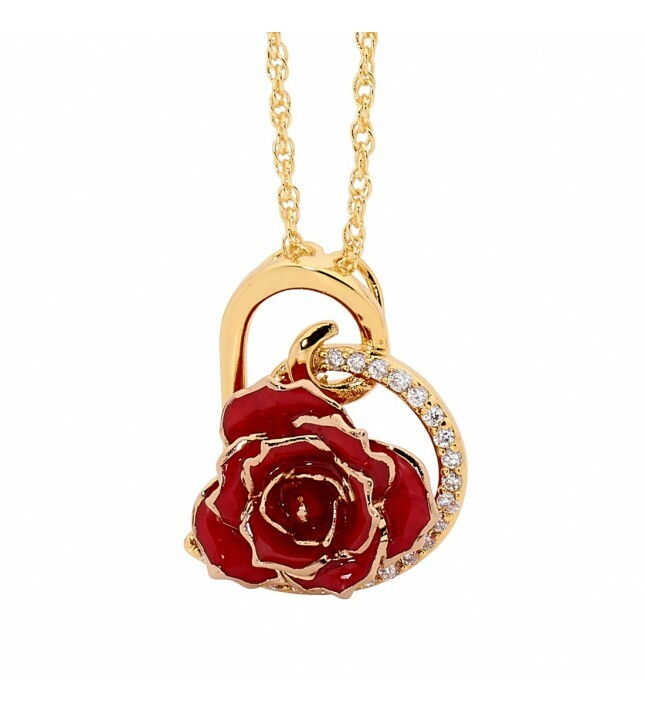 This striking heart-shaped pendant is perfectly formed using glazed and gold-trimmed natural red miniature rose petals. 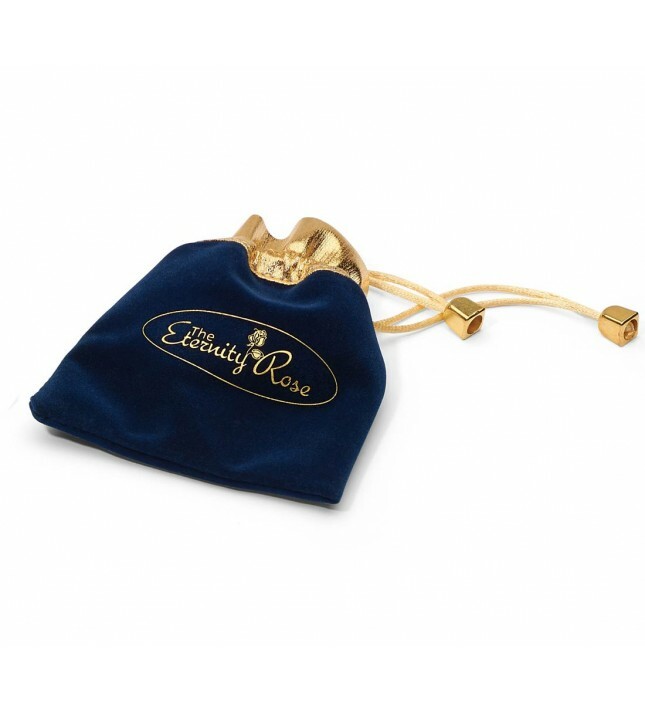 Every pendant comes complete with a stylish 24 karat gold-dipped multi-link chain. 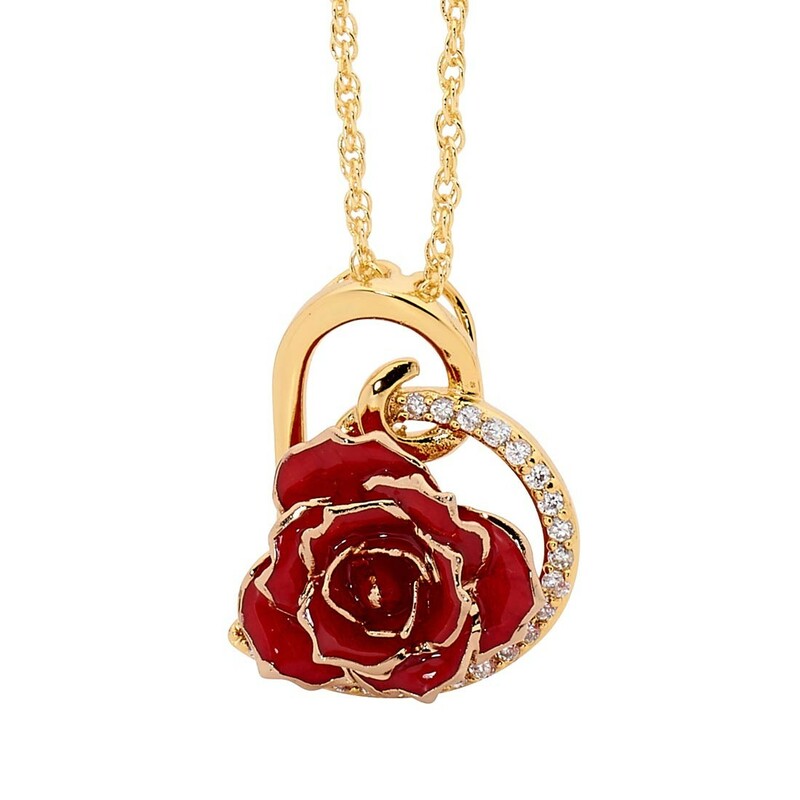 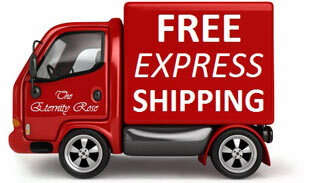 The stunning pendant features a 3/4" diameter miniature rose head and is encrusted with 21 radiant synthetic diamonds. Also available in an elegant leaf-shaped pendant.